The 3 teles I've been playing the most are parts guitars. Love parts! Is it a partcaster if I made the body myself? Probably. AllParts TMO-FAT, Wilde Keystones, some Wilkinson parts, some Fender... and that 165 year old pine. Gotta give this photo a like just for the chuckle. Axis29 and sahhas like this. I've got a couple, maybe more depending on how loosely you define partscaster. This one I had to build from parts for obvious reasons. 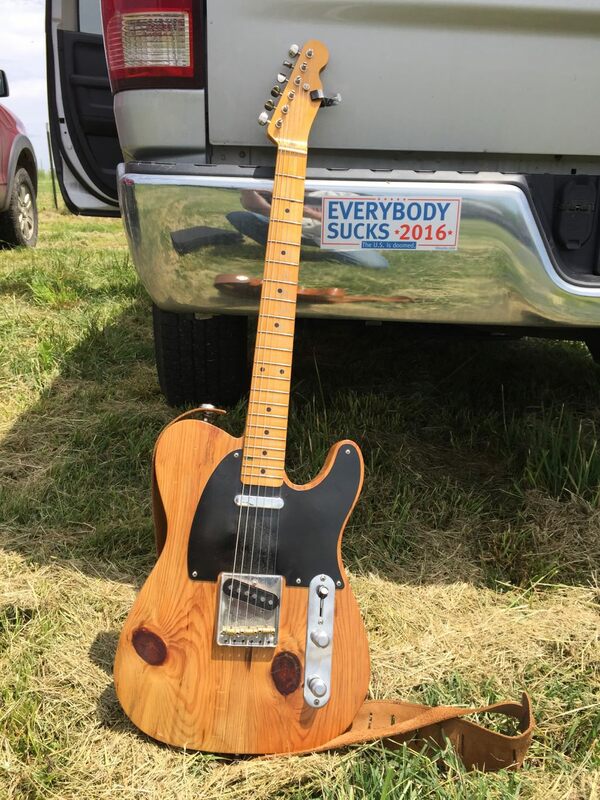 Where is the line that has to be crossed that defines a partscaster from a modified stocker? Neck and/or body? vs hardware and electronics? If you build from stock Fender parts is it a partscaster? rauchman and leonard d rock like this. I've also got a Tele partscaster that was put together about 20 yrs ago. That project started with a one piece swampash body. Fender neck, Calaham vintage 3 pc compensated saddles on a cutaway tail piece, Duncan pups, Calaham control plate with standard Tele wiring. The finish work on the body was a bit shoddy so I'm about to have it refinished in Sea Foam. I've got one. It's okay; the parts were somewhat flawed. I'd like to build a couple more, but time/money being what it is, it's not happening anytime soon. I love me some partscasters. So much so, that they're all I play. rauchman, stanshall, Pablo and 4 others like this. 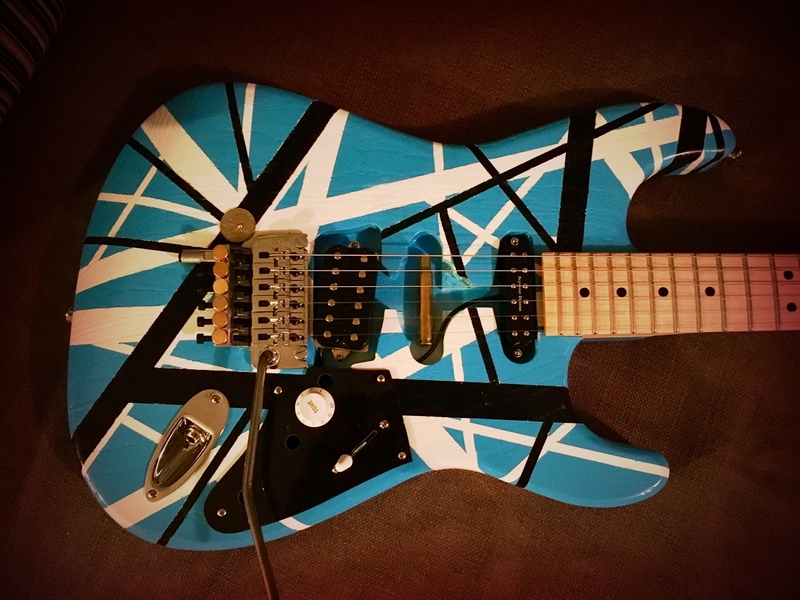 that is a cool guitar! love the pine body!!!! I gig with these two, in rotation with my other guitars, regularly. rauchman and westmike like this. Thanks. Here's the back. I gave an artist friend a big Miro catalog with postits on my favorites and she took it from there, making a love story. The guy on the top is getting ready to climb the ladder to the back and find his life's love. rauchman, stanshall, Agramal and 4 others like this. Darn, wish I had pictures on this computer. 90% of my electric playing is on two partscasters. The Tokai Tele is what drag racers would call "modified", and the Schecter Strat is what drag racers would call "altered". 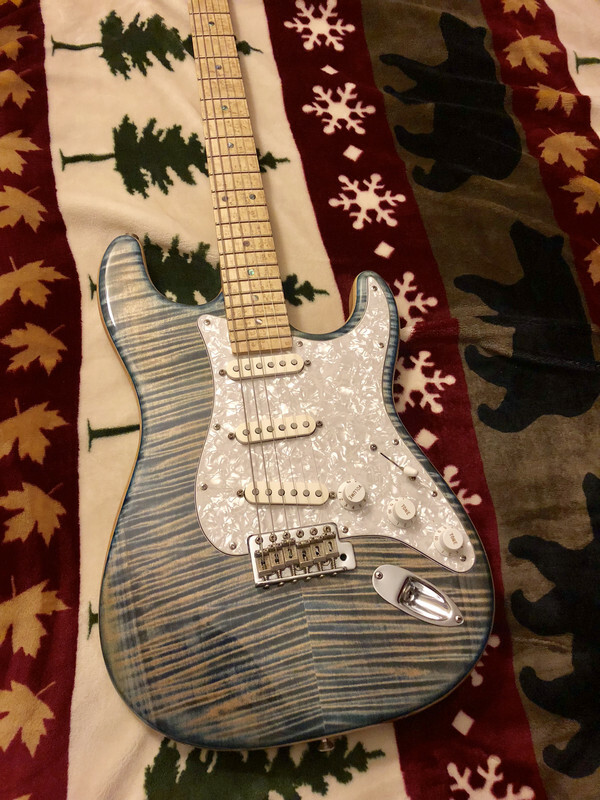 I also sometimes play a junk-parts partscaster Strat, and I have another pure partscaster Strat that will probably get a lot more love once it finally gets a better neck. I am a 95% strat guy. Here's mine. Can't really play a factory Fender now without feeling disappointed. This could have been a good poll. I've been buying and trading gear for 29+ plus years. I can say that I believe I've played and tried just about every type of guitar that I want with the exception of a Ronin and Pre CBS Strat. I typically wind up modding or changing stock guitars in some form or fashion. Never have had a strat that I'm completely happy with for one reason or another. I believe I'm just going to build a warmoth partscaster to my specs and be done. I currently have a couple of SG's that I play mainly but I always need a strat. I haven't built a parts caster in a long time. 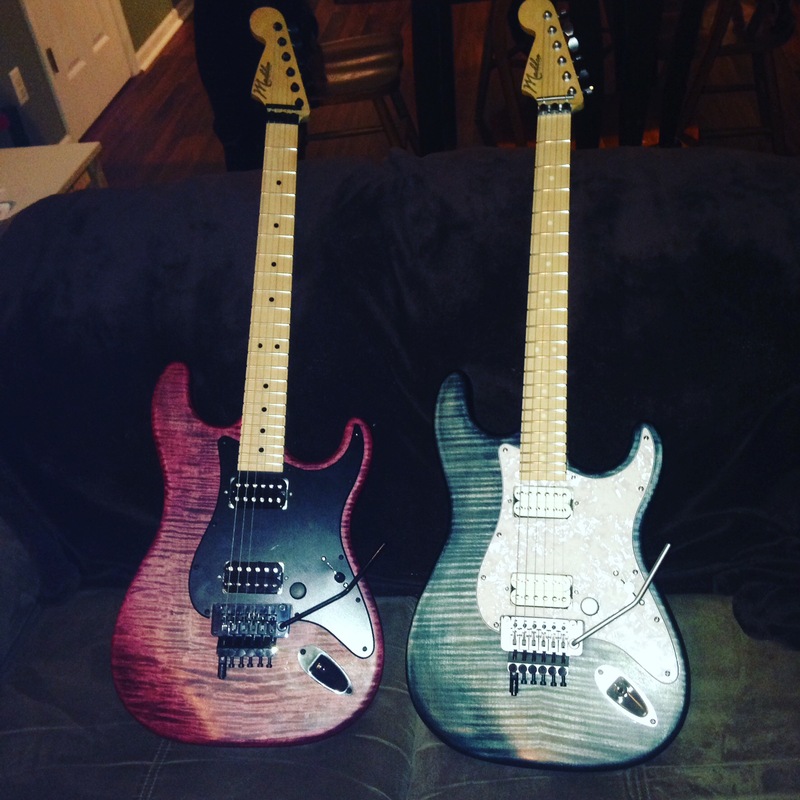 I've always used warmoth stuff in the past and have been happy. Post pics of your partscasters no matter the style. Give me some motivation. 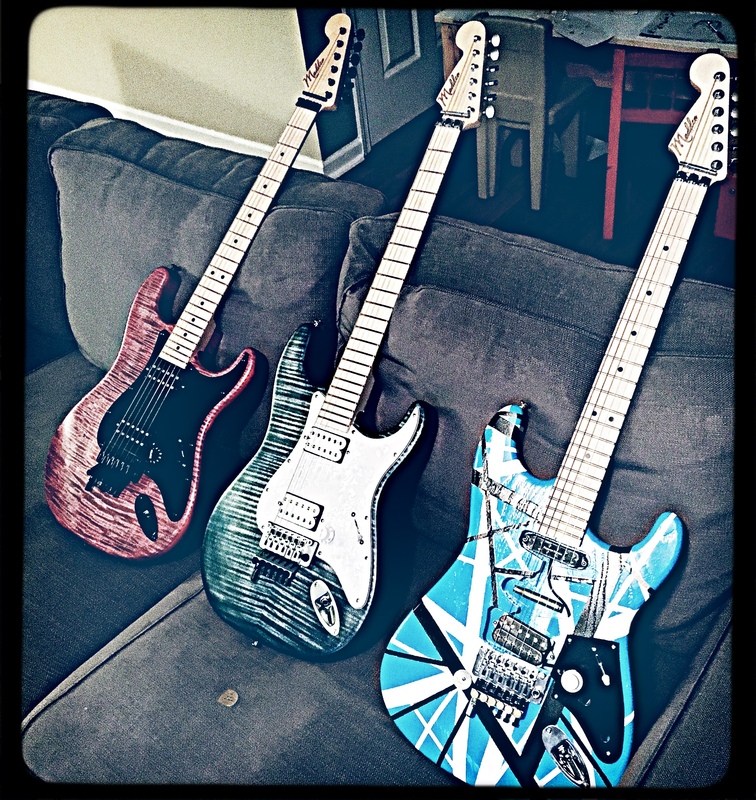 None of these are ones that I've built (I'd much rather have someone else spend $1500-$2000 on a partscaster and then grab it on the cheap since customs have awful resale value ), but they get lots of play time and are outstanding guitars. 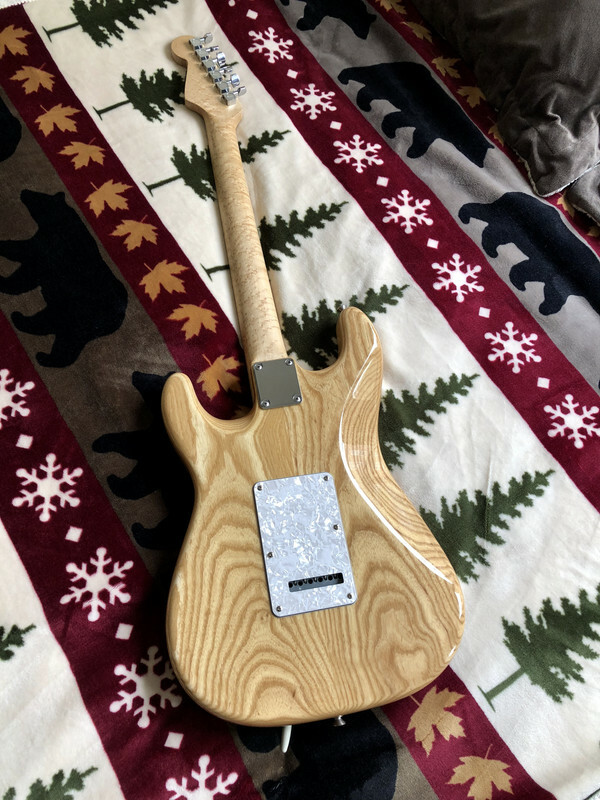 I highly recommend the partscaster route provided you have someone skilled to help put it together (or just go used!). 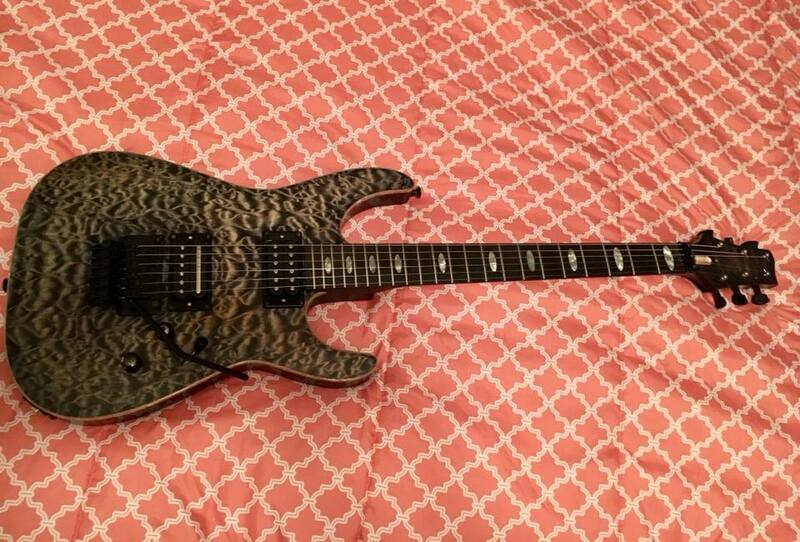 Grabbed this Warmoth for a silly $350 from Guitar Center - chambered swamp ash body with a killer denim finish flame top, birdseye neck and fretboard with abalone dots, and Bareknuckle Sinner pickups (originally had Duncan YJMs but I sold them and swapped in the BKPs I had). rauchman, stanshall, Agramal and 8 others like this. 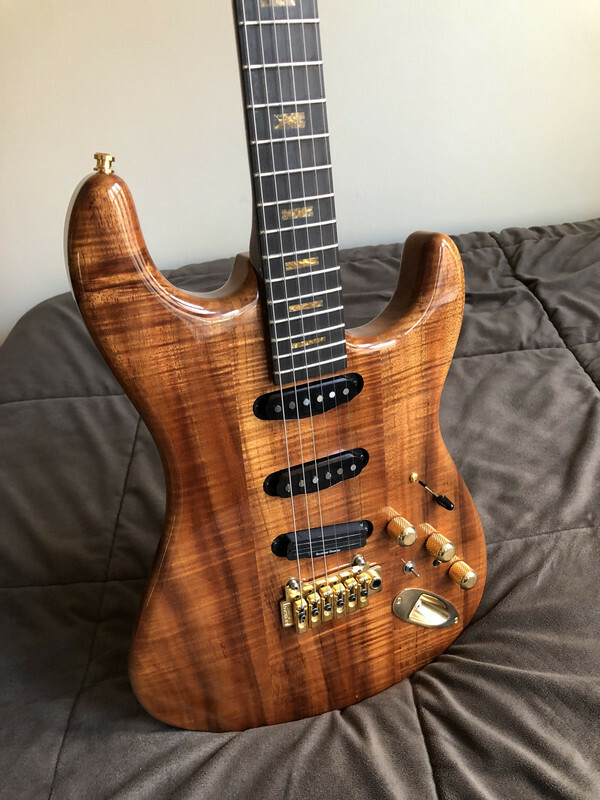 I found that no matter what F style guitar I bought, I had to end up doing the same things to it (nut, tuners, 95% of the time refret, at the very least a solid leveling, electronics/pickups) so there is really no point in buying a pre-made guitar unless I can get one cheap enough to use as a base for everything else. 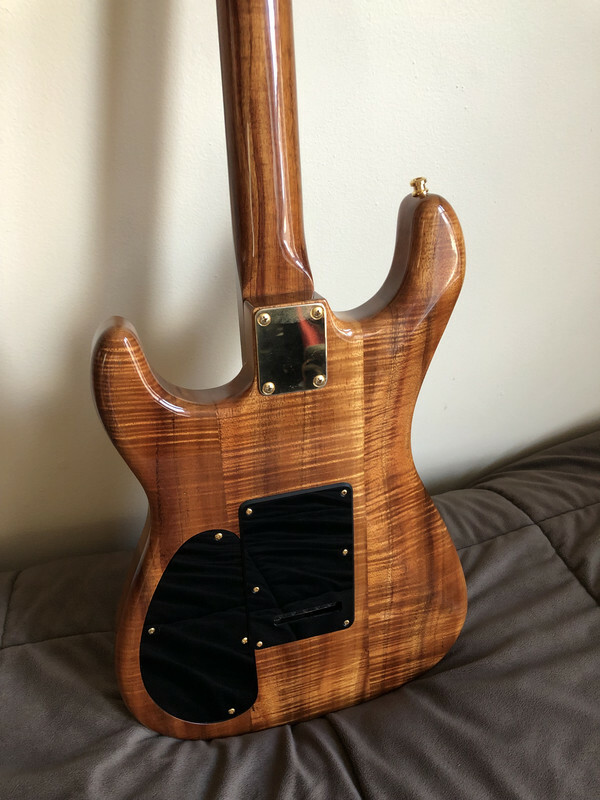 Now pretty much just building Warmoth bodies and necks from various sources (can't do Warmoth necks due to the silly 'modern' truss rod system). Do you find the steel E/A string saddle brightens them up any, or is it negligible (since you get to compare them side to side with brass)? I've always just opted for straight brass as it seemed (as I recall) to have a softer attack and less zing. I've only ever had the smaller gauge threaded variety in steel though. Honestly I think the change is slight. I believe the SS frets offering a tad more zing than the saddles. They look cool though. Brian Poe body, Allparts neck, fender CS nocaster pickups and vintage style hardware.